Home / Blog / Pregnancy & Prenatal Care / Miscarriage: How Long Does It Take to Recover Physically and Emotionally? Miscarriage is a tragic event for any woman and can bring with it a host of different physical and emotional effects. 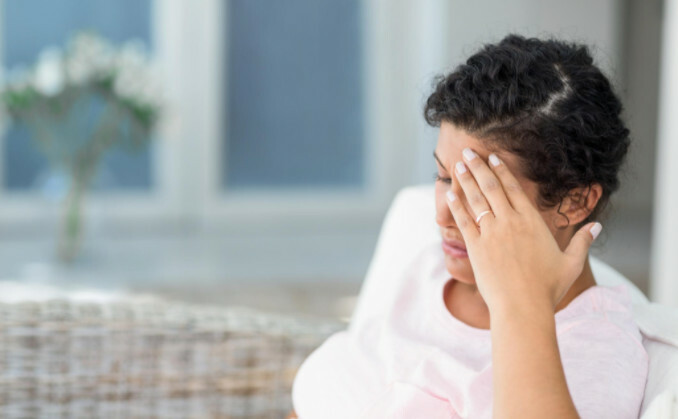 The most important part of the recovery process is giving yourself and your body patience and time, but here are some other important things to know about the physical and emotional recovery process following a miscarriage. How long does the physical recovery take? Depending on when you learn you’ve had a miscarriage, your body may be nearing the end of the process or it may have barely begun. Usually, the first sign is heavy bleeding, but a woman may find out through an ultrasound or fetal heart monitor that there’s an issue before any physical signs begin. The recovery time depends largely on how far into the pregnancy you are when the miscarriage occurs. According to the American Pregnancy Association, physical recovery from a miscarriage takes anywhere from a few weeks to a few months depending on your situation and body. You can generally resume regular activity and exercise once you feel able, but talk to your doctor about your unique timeline. How long does it take to recover emotionally? This part of the process can be quite a bit longer and more complicated. Emotions after a miscarriage range from confusion and denial to guilt, sadness to anger—and the list goes on. Some women even feel completely devoid of emotion. All of these feelings are completely normal and differ for every woman. Each step in the emotional healing process takes time, so give yourself the liberty to take as long as you need to work through it. You’ll experience setbacks along the way and notice that certain things may trigger specific emotions. It’s critical to talk through your grief with close friends, family and a professional counselor. Ask for support when you need it and allow yourself time to heal. The compassionate doctors and nurses at All About Women are here to support you both physically and emotionally through the loss of your baby. If you have questions or concerns about miscarriage, make an appointment with a pregnancy physician at our Gainesville or Lake City women’s clinic today.